Feminist In A Frock : Bardot though? 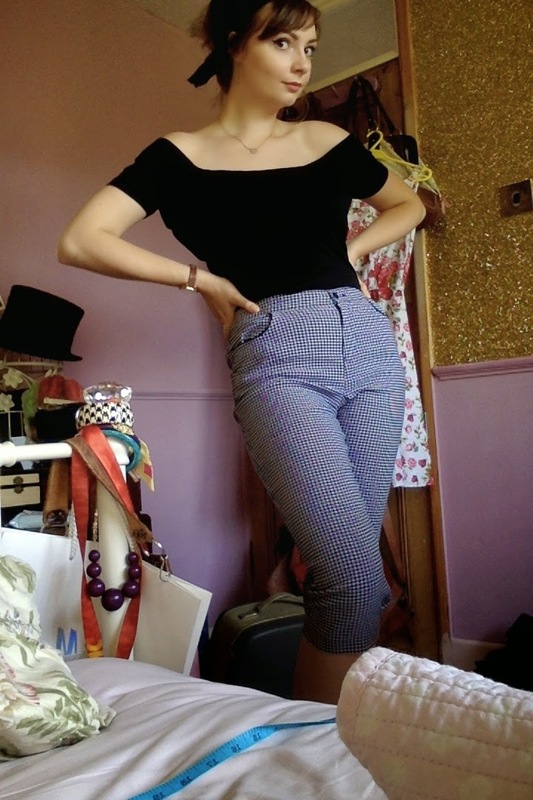 Top- H&M Trousers- Charity shop (Cancer research, I believe) Being to lazy to align pictures in photoshop or take pictures outside on a tripod- model's own lazy. 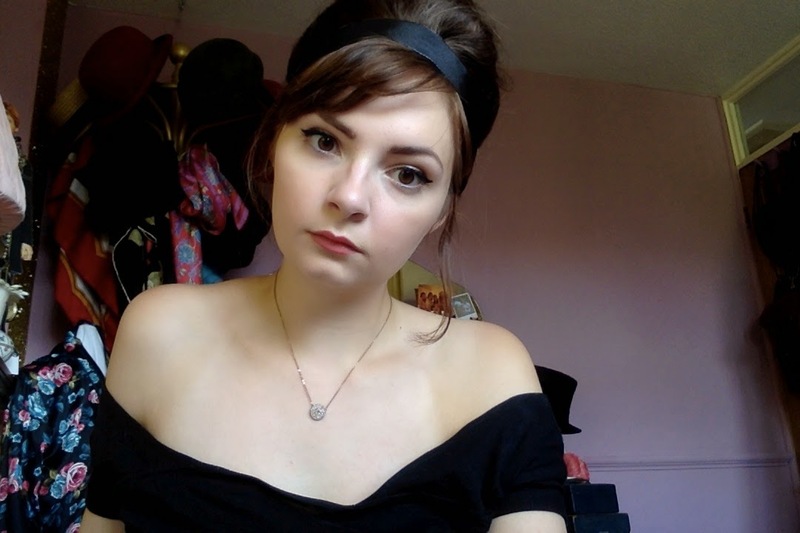 Today was my attempt at being Bardot, I tried, I failed, but I still quite enjoyed this outfit. 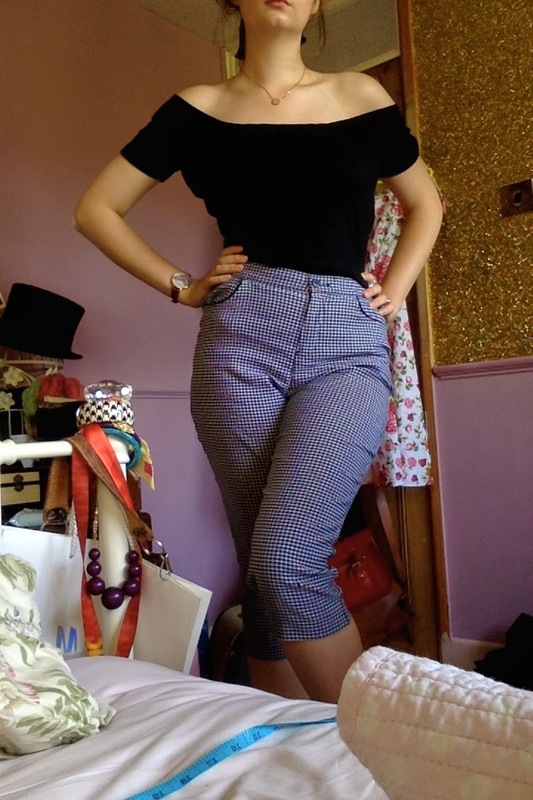 The trousers I picked up for a fiver in the charity shop and lopped some of the length off. I'm becoming a bit of a trouser fan. PLOT TWIST. I think it's the luxury of pockets. THEY'RE SO HANDY?! 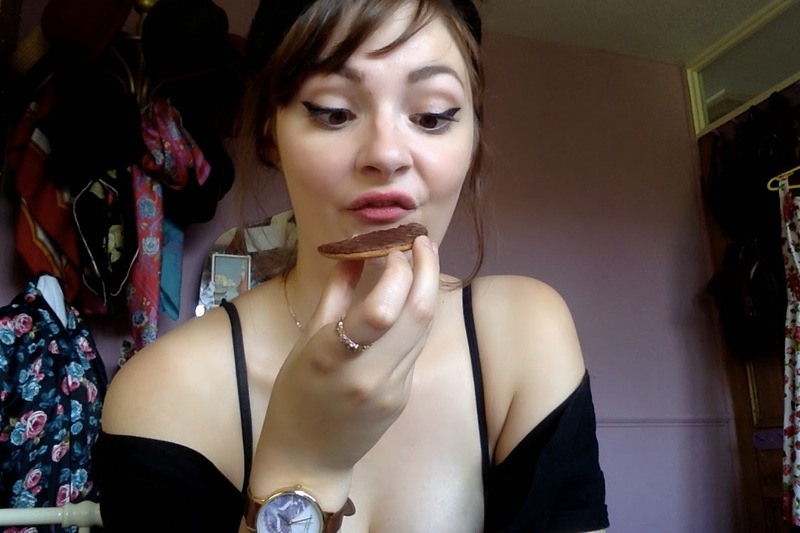 You know those times you're just being too much of a poser, so you have to counteract it with a picture of you posing with a biscuit? This is one of those times. I look JUST like a confused duck. Enjoy it, savour it. This top was actually one of my many spontaneous sewing projects, which are basically things I have been meaning to do ALL YEAR but just haven't got round to. I've wanted a top with a Bardot neckline since I was a zygote and since I have only £2 in my bank and 50p in my purse, I had to improvise. This baggy top high-necked top has been hanging around my wardrobe since I panic bought it before the Arctic Monkeys concert earlier this year. 'AHHH IT'S GOING TO BE SWEATY AND I'M GOING TO WANT TO MOSH. I CAN'T DO THAT IN A 50s PARTY DRESS. BLACK TOP. BLACK TOP IS A SOLID CHOICE. ', is how the panic went in my head. After that gig I have never worn it again. UNTIL NOW.